March is Blood Clot Awareness Month, or BCAM, and if you or someone you care about has been affected by blood clots, you might be wondering what you can do to make a difference. Often times raising awareness starts with simply sharing your story with the people that you already know. You can share your story verbally with friends and family, in a written note, or more publicly on your Facebook Page or Instagram account. Social media – and our online connections – make it easier than ever to share important information with people in our communities, and with people all over the world. 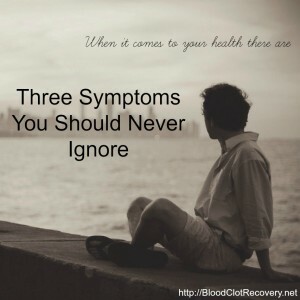 If you don’t know where to start with sharing information about blood clots, or if you’ve never shared your story before, I’ve outlined four specific things you can focus on to easily help make a difference during Blood Clot Awareness Month, or anytime you want to raise awareness: Blood clot risk, blood clot signs and symptoms, blood clot recovery, and blood clot prevention. 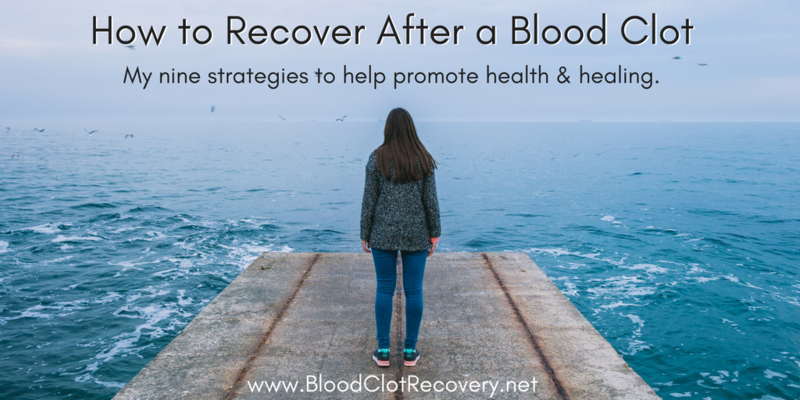 Blood clot recovery is not often a focus of blood clot awareness, but it’s still a very important thing to discuss. This month, I’ll be sharing some of my thoughts about my personal recovery from a handwritten journal I kept for the first month of my recovery. I’ve never shared these thoughts before, but now I want to share them with you. 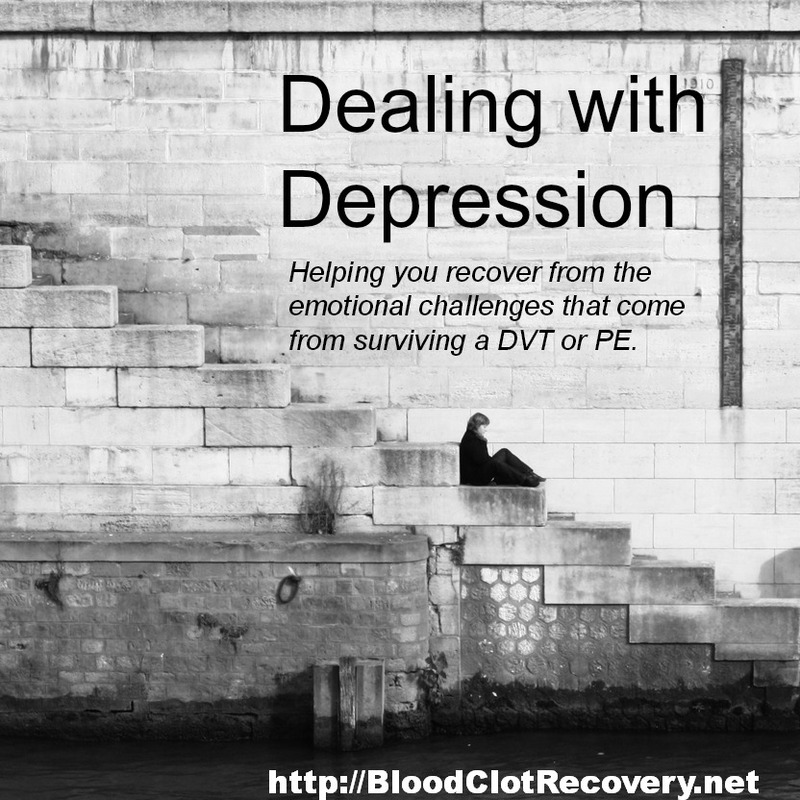 I’ll also be sharing some of your personal thoughts about how having a support system like Blood Clot Recovery Network has made a difference during your recovery. If you’re not already, connect with me on my public Facebook, Instagram and Twitter channels to hear my thoughts. Plus, if you’re a member of my private Facebook Community, I’ll be sharing some special things there, that I won’t be sharing anywhere else. If you’re not a member yet, join for free today. Are you ready? 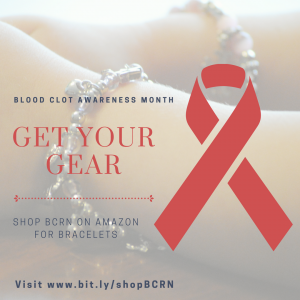 Let’s get focused on Blood Clot Awareness Month. 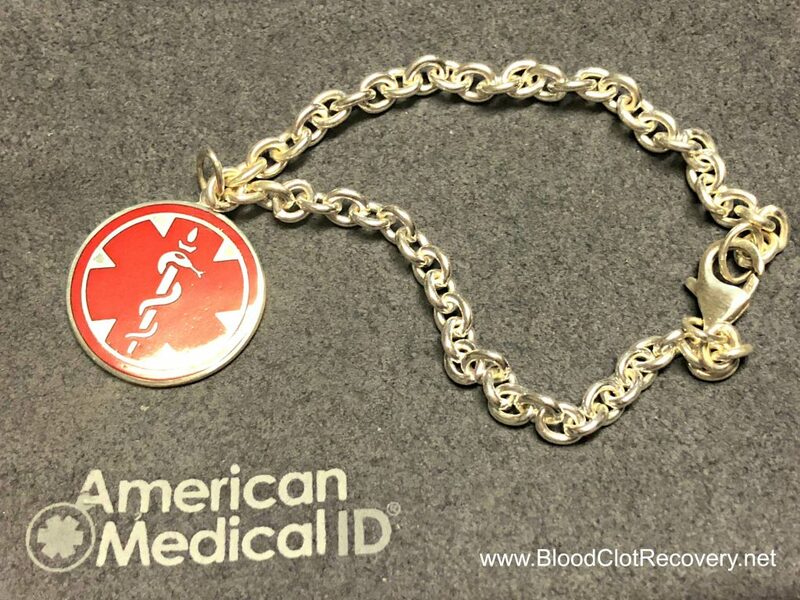 Blood clots can happen to anyone, no matter who you are. They affect about 900,000 people a year, and about 100,000 people a year die due to blood clots, in the United States alone. In some cases, people may have been able to prevent blood clots by knowing puts them at risk for one. 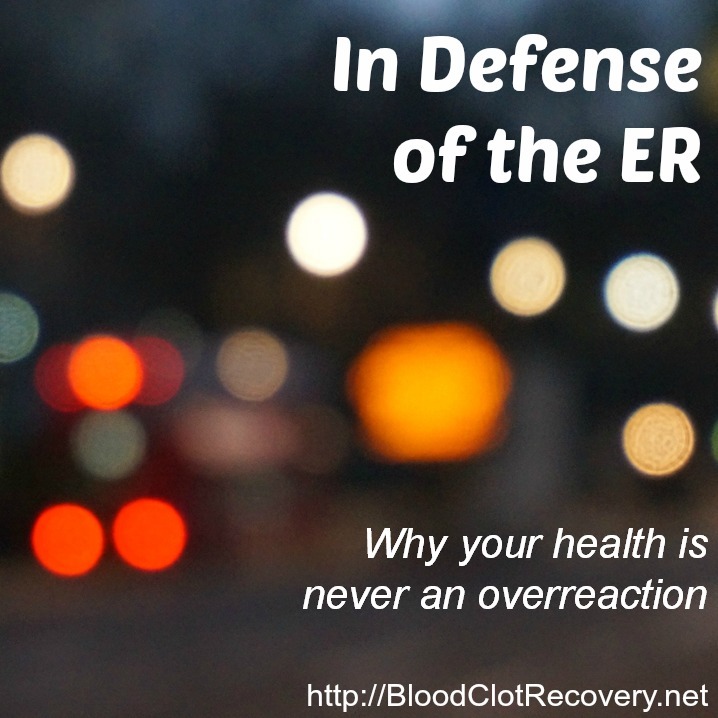 I had no idea that I could be at risk for a blood clot, so I didn’t think one could ever happen to me. One of the most important things you can share with the people you know is information about blood clot risks. Know the major blood clot risk factors. That’s not all. Learn more about blood clot risk factors. Just like knowing your risk for blood clots, it is important to be able to recognize blood clot signs and symptoms. 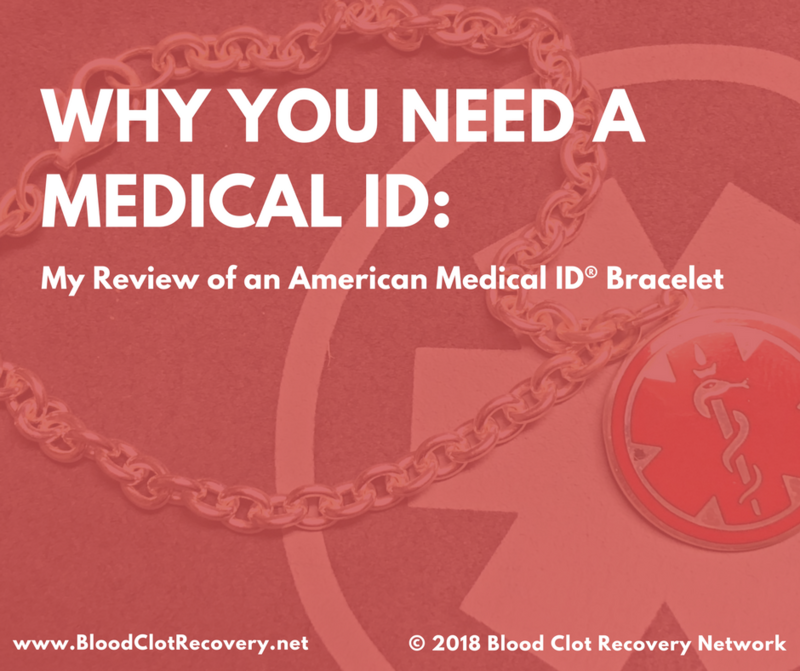 Looking back, what was most striking about my situation is that I had symptoms of a blood clot in my leg (pain) and in my lung (shortness of breath, chest pain) at the same time. I also had these symptoms for several days, and they got worse as time passed, not better. 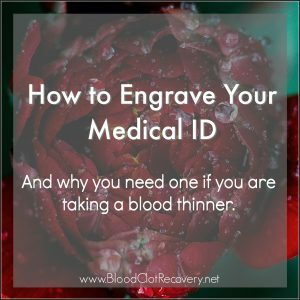 Eventually, I called my primary care physician who recognized my symptoms as blood clots and told me to go to the emergency room immediately. This month, take time to share the symptoms of blood clots with the people that you know. 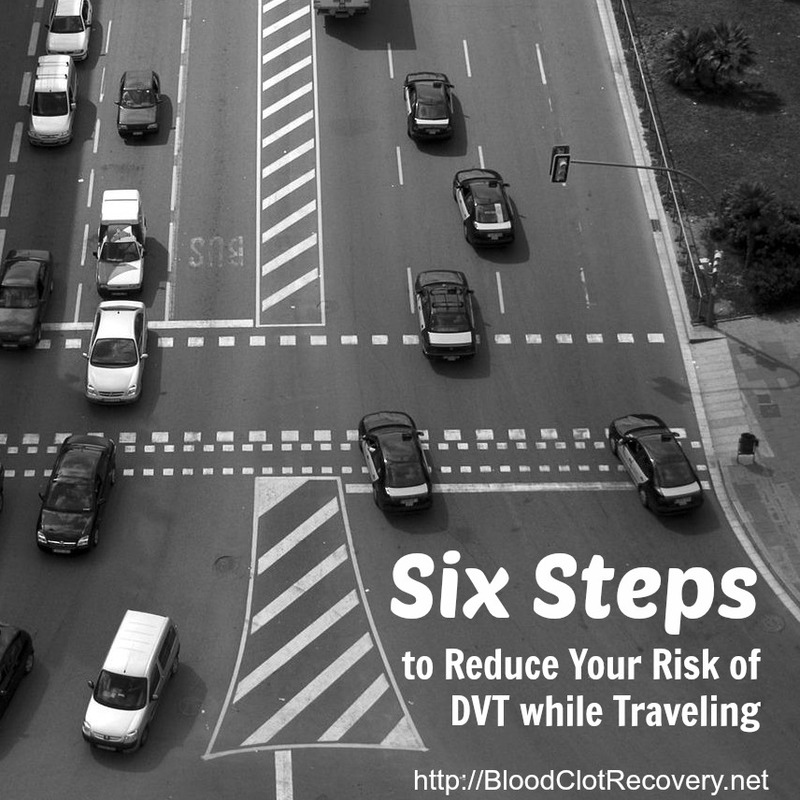 Know the symptoms of a blood clot in the leg or arm, also known as deep vein thrombosis or DVT. 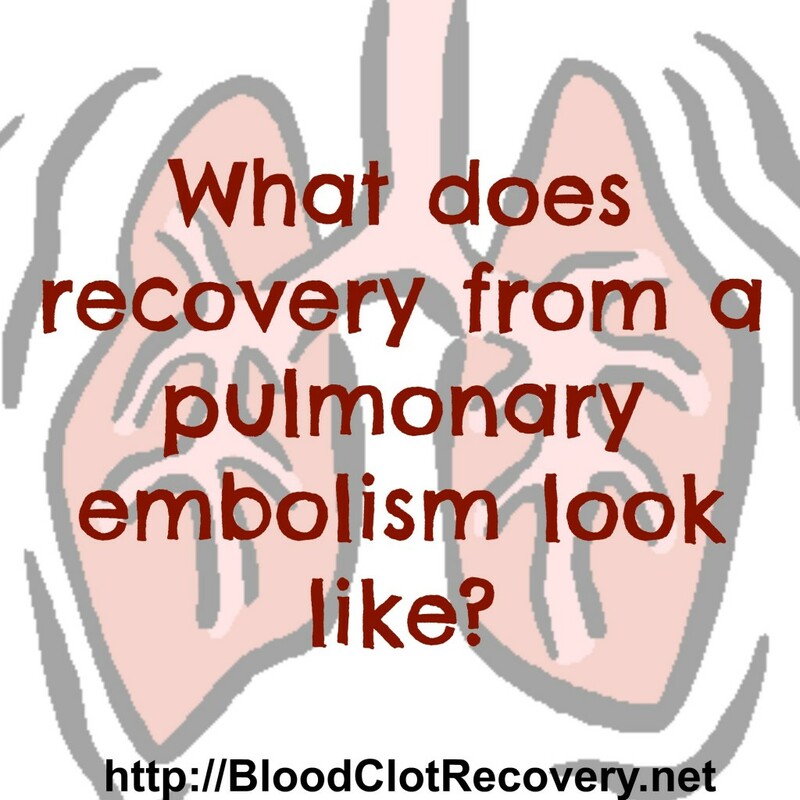 Know the symptoms of a blood clot in the lung, also known as pulmonary embolism or PE. When they occur together, DVT and PE are known as venous thromboembolism, or VTE. Blood clots in the lungs can cause death by obstructing blood flow, so if you or someone you know experiences these symptoms, do not delay emergency medical treatment. 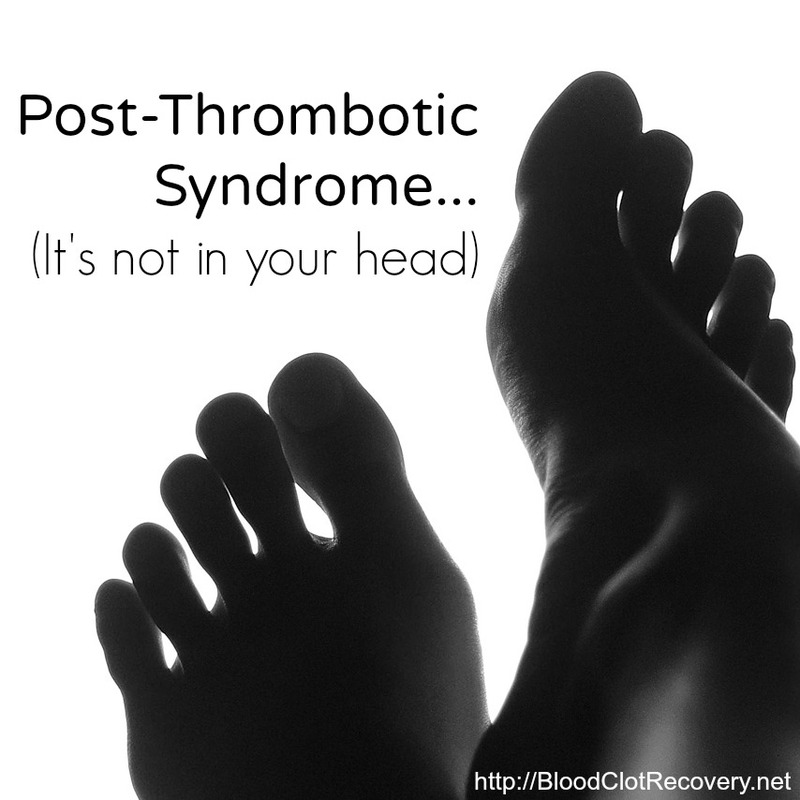 Learn more about what blood clots might feel like. 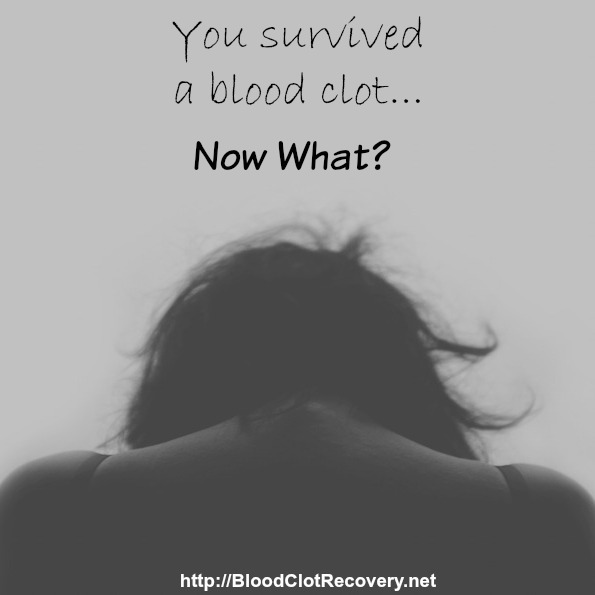 Recovery from blood clots is different for everyone. 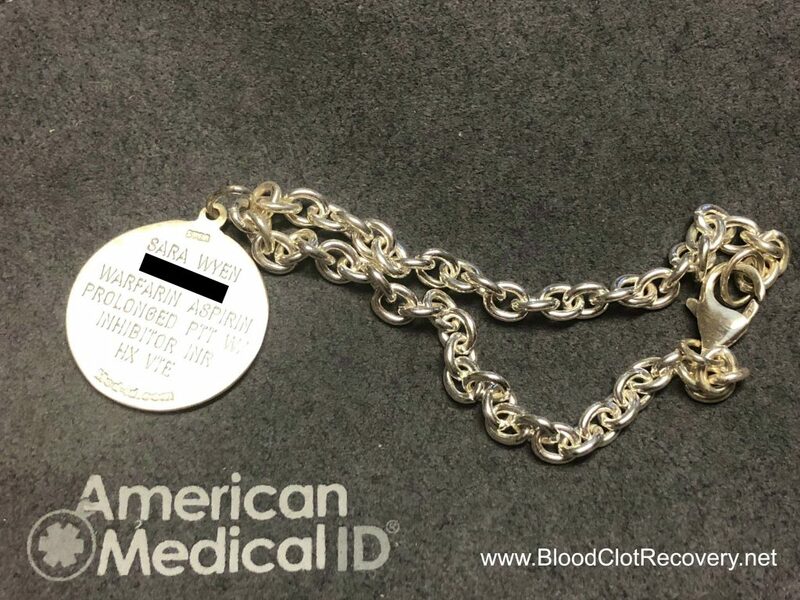 It can take weeks, months or years to recover fully, and some people live with long-term complications from blood clots, such as post-thrombotic syndrome, chronic shortness of breath, or even debilitating anxiety. 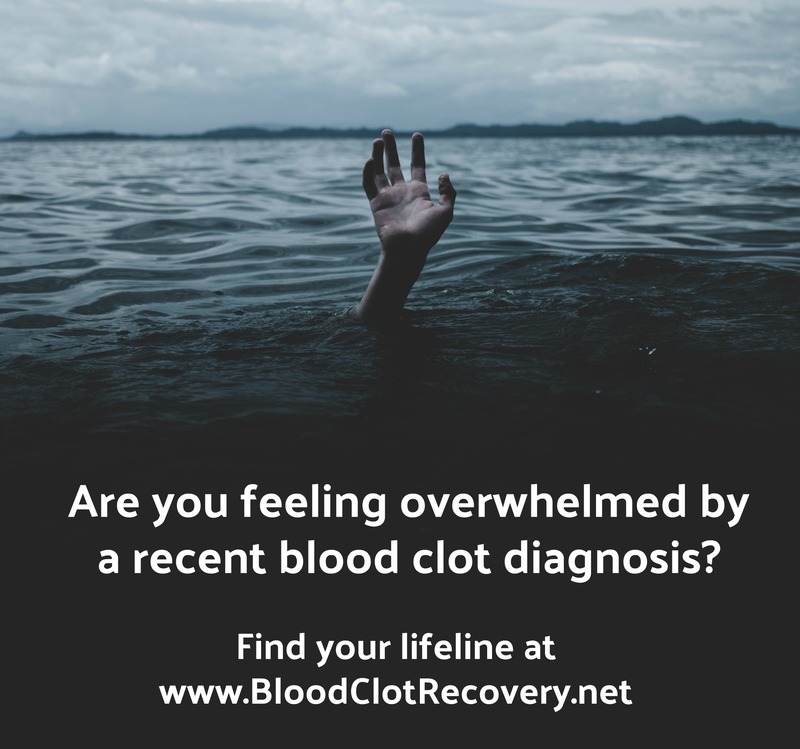 If you have experienced a blood clot, it’s important to let people know what you are going through … and it’s also important for you to realize that they might not understand what you are going through. Throughout my recovery, I had many people – some of them close to me – who did not understand how I felt, or understand why I was still in pain so many months after my PE. Sometimes, it was hard to talk about because it was so personal. How much – or how little – you share about your recovery is entirely up to you. During my recovery, I often found that sharing less was more. I found out pretty quickly that all I could do was share information about my situation, and if the people in my personal life didn’t understand, I moved on to talking with a community of my peers who knew exactly what I was going through. 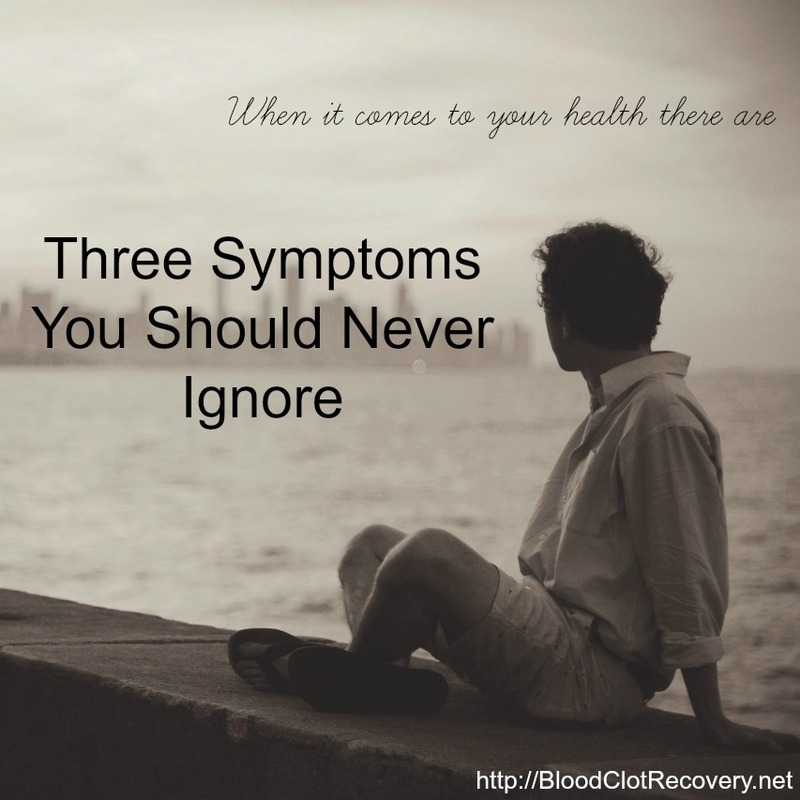 Sometimes, sharing just a few general things about blood clot recovery can be helpful. 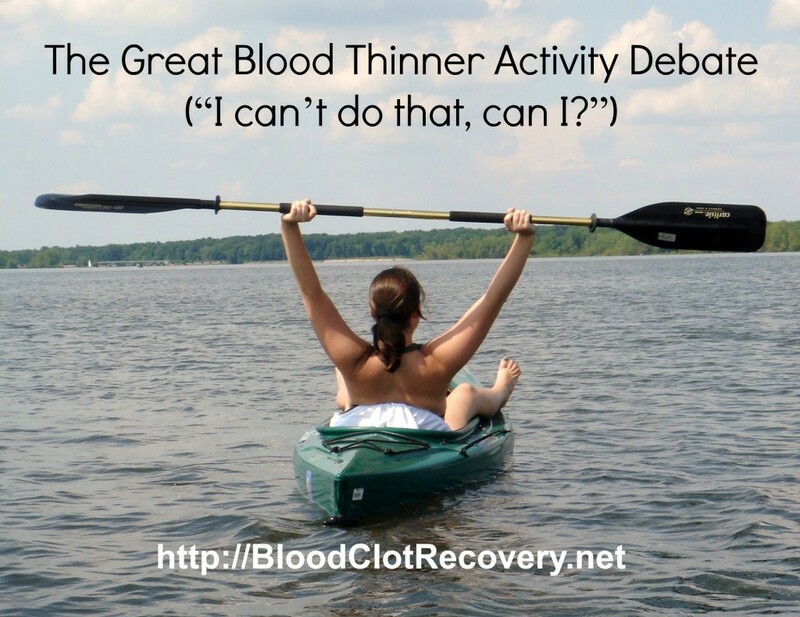 Read more important things about what recovery from a blood clot can be like. It is true that not all blood clots can be prevented. About 30 percent of all blood clots that occur do not have a cause, or a known risk factor. However, there are several important things that you can do to prevent blood clots from happening, or from happening again. The most important things that you can do to prevent blood clots are simple, and sharing them is an important part of blood clot awareness. If I had known or done these things in my situation, it may not have been as bad as it was. Everyone can take simple steps to help prevent life-threatening blood clots. Know your risk for blood clots. If you know your risk for blood clots or know when you might be in a situation that puts you at risk for blood clots like surgery or pregnancy, you can take additional steps to prevent blood clots. 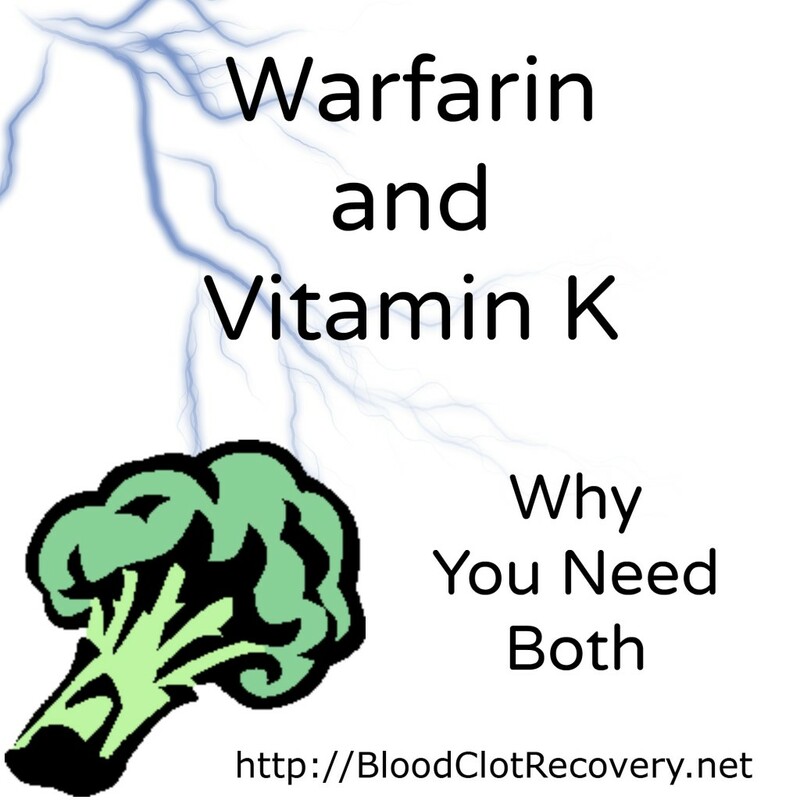 It is true that knowledge is power, or key, even when it comes to preventing blood clots. If you don’t know if you could be at risk, talk to your doctor about your concerns. Know the signs and symptoms of blood clots. If you know the signs and symptoms of blood clots, you can seek help, hopefully before you find yourself in a life-threatening situation. Know when to seek medical attention. 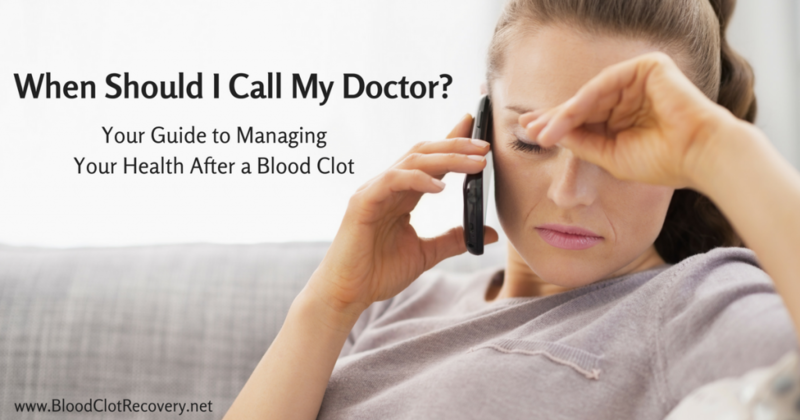 If you think you might have a blood clots, seek help from your doctor or the hospital immediately. Don’t wait to see if it gets worse – or better. Get checked out sooner rather than later. 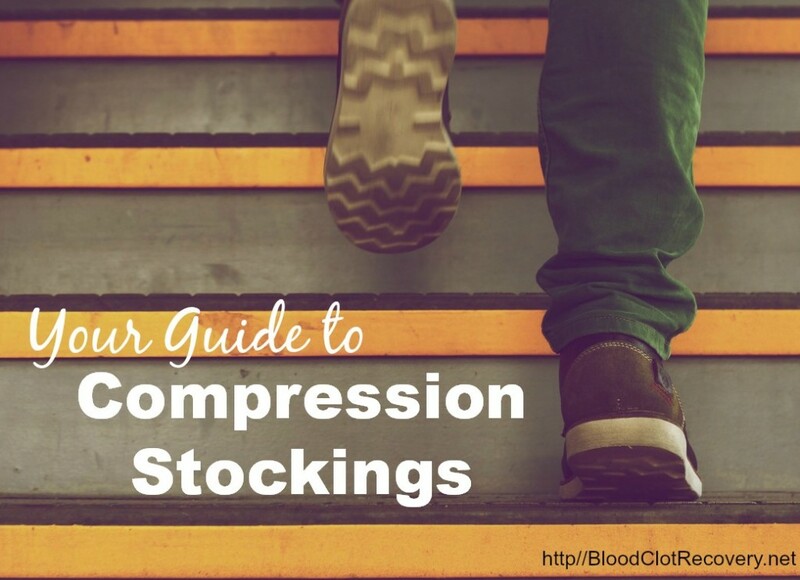 Learn more about how to prevent blood clots. If you have already had a blood clot, there are some important things you can do to prevent future blood clots. Take your medication as prescribed. The most common cause of blood clot recurrence is not taking your medication. If you’re struggling with your treatment plan, or side effects, talk to your doctor about your treatment options. If you are going to be having surgery or a medical procedure, talk to your doctor about your risks for blood clots, and your risk for bleeding. Doctors have to carefully balance your bleeding and clotting risks. Don’t assume everyone knows your health history if you haven’t told them, and plan ahead if you can. If you are pregnant or planning a pregnancy, talk to your doctor too. It is possible for women with a history of blood clots, or clotting condition, to have successful pregnancies. Connect with your doctor ahead of time, if you can, to talk about ways to prevent blood clots, such as taking blood thinning medications for the duration of your pregnancy. Sharing information is the most important thing any of us can do to raise blood clot awareness, and Blood Clot Awareness Month provides the perfect opportunity to do so. If you’re not sure where to start, tell your own story and as you do, make sure to include the focus points above. Together, we can make a difference. 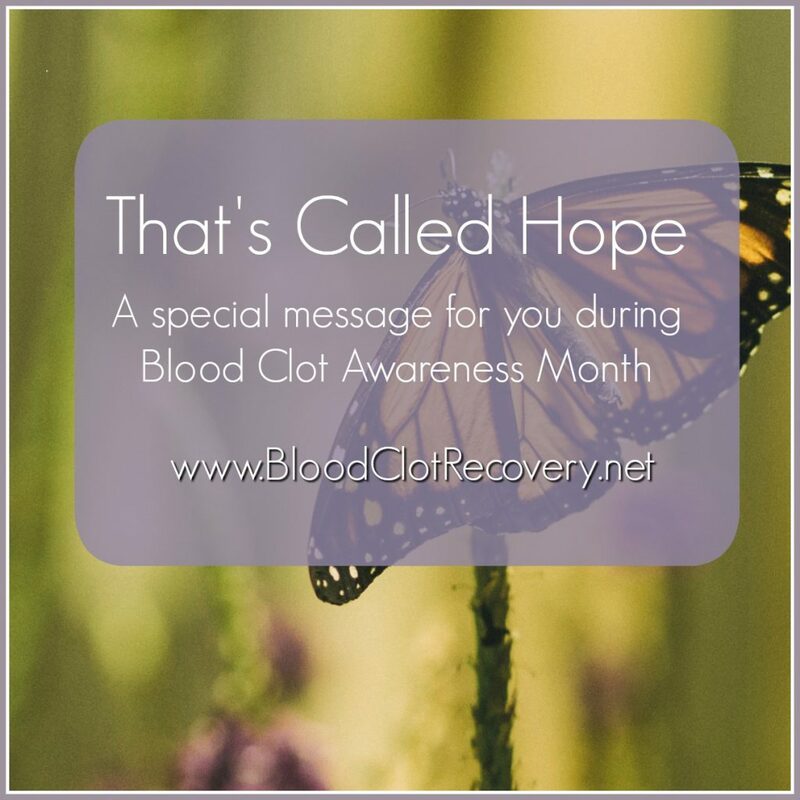 Reader Writes In: What plans do you have to help raise blood clot awareness this month? Share in the comments. Do you want to do more? 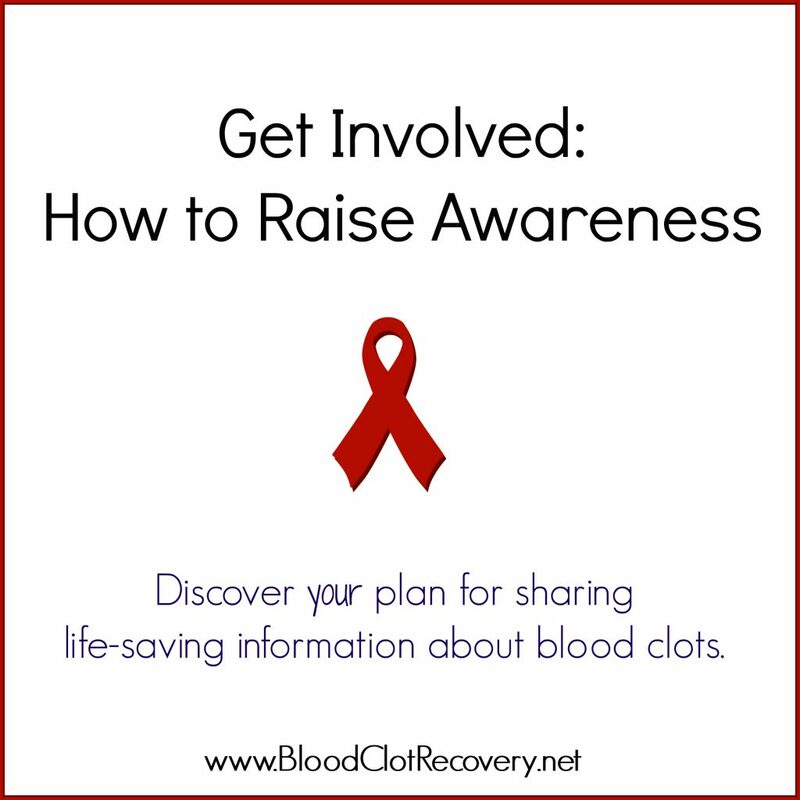 Discover your personal plan for raising blood clot awareness. When I started this blog five years ago, I had no idea that it would become what it is today. I had no idea how much it would mean to people, how much it would help them, or how vital it would be for some people. 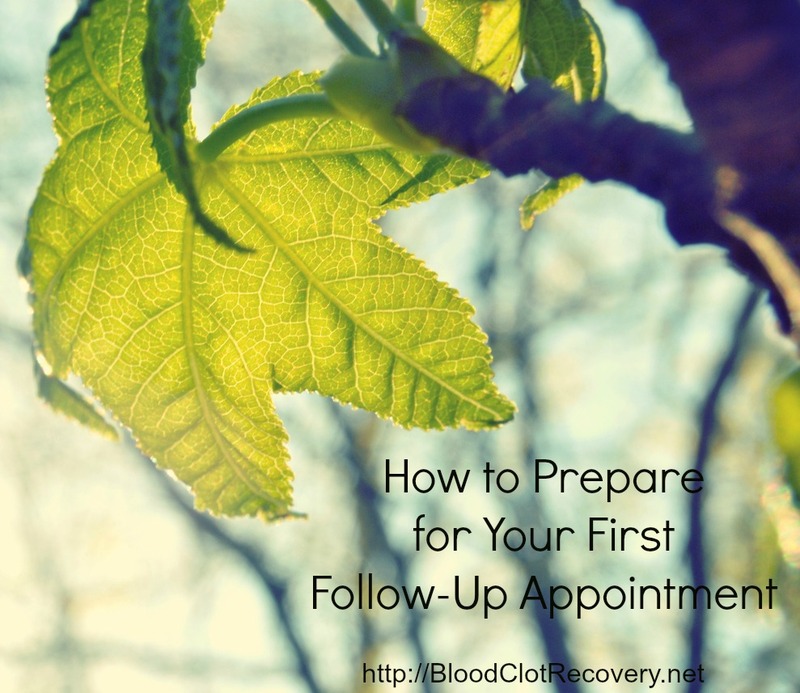 I had no idea that I would become the leading patient resource on blood clots and recovery. I actually had no idea that I would become an online health blogger. Back then, I was just a person, writing about my experience with blood clots, with the hope that someone, somewhere out there wouldn’t feel alone during recovery, like I did. If my words reached one person, I would be happy. Now, I know that my words have reached thousands of people, in every corner of the world, and have undoubtedly helped just as many. All those years ago, I had no idea I would meet so many people, share so many stories, or take part in many of the wonderful opportunities that have come my way. I’m not new to blogging – nor was I ever – and I have background as a fitness blogger, which stems from my talent for writing. One could argue that I am not even new to successful blogging in terms of followers, readers, and opportunities. 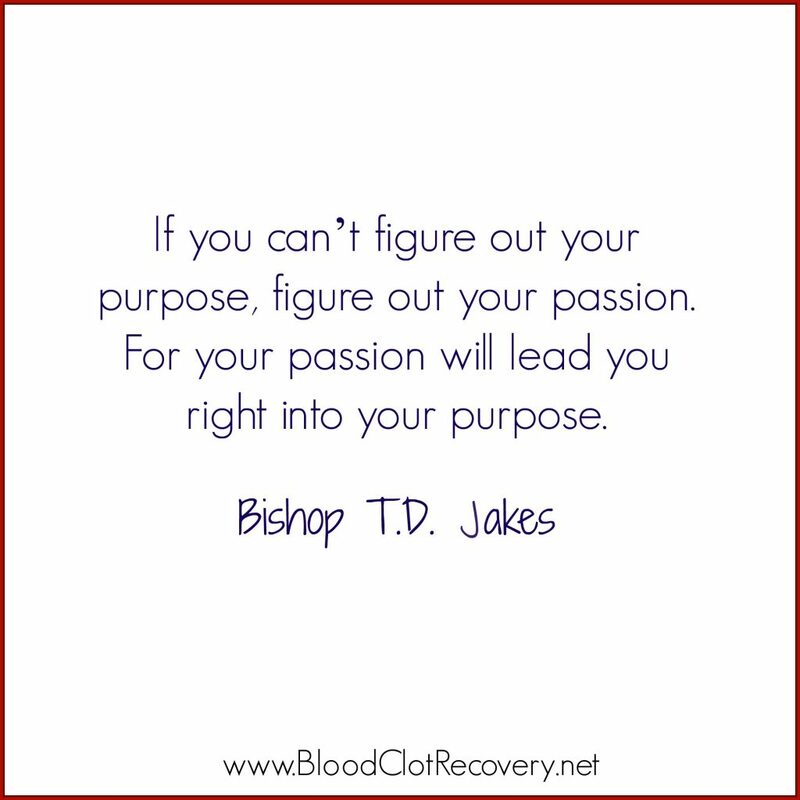 Technically and strategically, I knew what I was doing when I started this blog, and my passion to help make a difference in the lives of blood clot patients guided me from there. 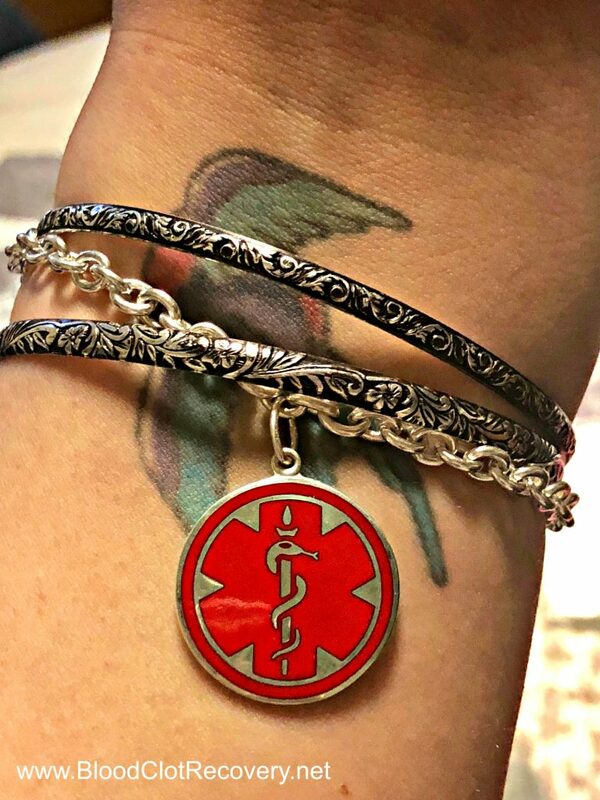 What I was new to, though, was online health blogging, and providing support for people who are going through a really, really difficult health crisis, perhaps the worst crisis of their entire lives. What I was new to was the amount of time and energy it would take to not only write about my experiences, but help other people through their experiences. Soon into my journey, a transition happened. I was catapulted –at lightning speed – from the role of blogger into a support and advocacy role that I never intended to be, and one that I never knew existed. Probably because I had never dealt with a significant health crisis before my DVT and PE, which almost ended my life at 29 years old in 2012. I never anticipated the time, energy and dedication that would come with this transition. I work a full-time job – in the same space, often providing patient support – and I spend hours every single day here answering questions, messages, comments and emails. I spend hours researching resources for people, compiling tools, telling my story, and sharing information. 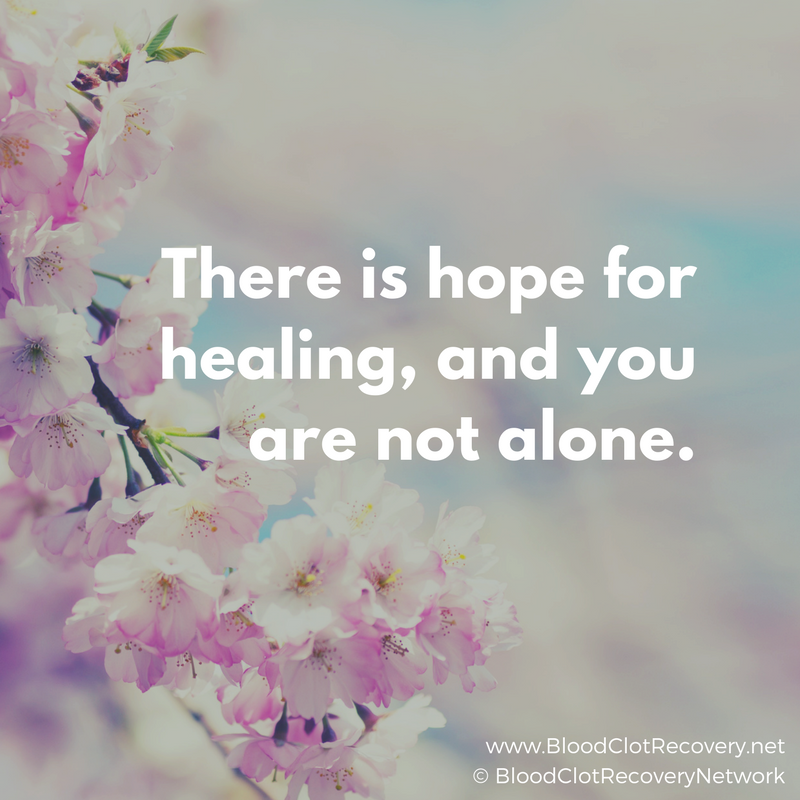 I’m not a doctor, and I’m not a healthcare professional, yet Blood Clot Recovery Network is often the first place someone turns for answers and support. I mostly can’t provide those answers – I’m not medically trained – but I can provide connection, community, encouragement, and I can lend an ear free of judgment and full of understanding. Clinical empathy – or the skill of understanding what a person says and feels, and effectively communicating this understanding back to that person so that they too understand – is a gift that I am fortunate to have, and to share with all of you. I believe it is one of the reasons why I am so successful here. Clinical empathy – or even empathy – can also be a burden, if not properly harnessed. I am a compassionate and open-hearted person by nature. “No” or “I’m not able to do that right now” are hard phrases for me to insert into my vocabulary. I am more of a “drop everything and do it right now” person who wants to be all things, to all people, always. However, that’s not realistic, and it’s certainly not sustainable. Creating consistent and reliable blog content that people can relate to, understand and appreciate is not easy. I may be a good writer, but a blog post does not come about without a lot of effort and forethought – it’s why so many bloggers simply do not stick around. Social media fatigue is real. On average, people check their phones 150 times a day. I am sure I exceed that on many days. The Internet never stops – for any of us. Online, people instantly notice if you are off your game, or are absent for any length of time. People sometimes don’t realize that there is a real person behind the screen, that struggles with the same things they do. We are all judged online for what we do and don’t do, more so I believe than we are in person. Demand for personalized attention and communication can be draining. Sharing our stories about such intimate matters as our health is both draining and demanding, and our energy reserve functions exactly like the bank where we keep our money. You can’t withdraw what you don’t have. It simply does not exist. 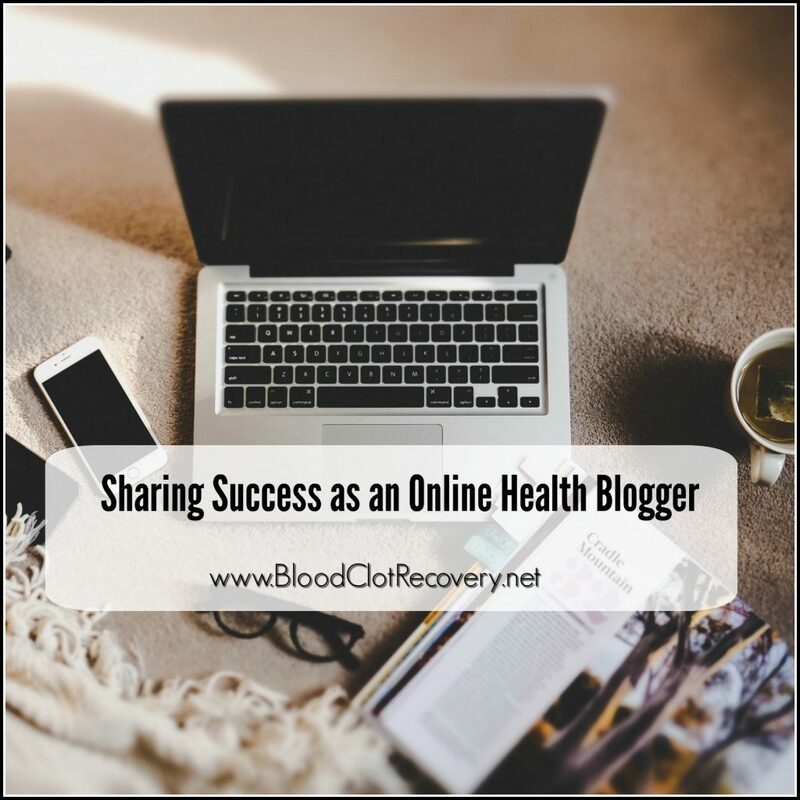 As an online health blogger, I thrive on providing support and encouragement, and on sharing experiences, but I also need to make it a priority to replenish my reserves. I would not be happy, or fulfilled, if I didn’t have somebody to help through recovery – and let’s face facts – I probably could not live without the internet for any lengthy amount of time, but I have in lived through worse, so who knows. It’s a delicate balance – when helping is both your give and your get. The truth is, you have helped to make this space what it is today by following along in the first place, and together, we are sharing success. You put the money in the bank, and now, you replenish my energy with your well wishes, positive comments, and willingness to go above and beyond to help one another. You support one another, and step in on social media, and in blog comments when I am not here. Above all else, you share your stories, just like I did all those years ago. For every note I receive about how much I have helped to make a difference in someone’s life, I also receive one about how wonderfully supportive you are. I would not be where I am today without you and for that, I am extremely grateful. It is because of you that I continue to do what I do here, despite long hours and extensive work. 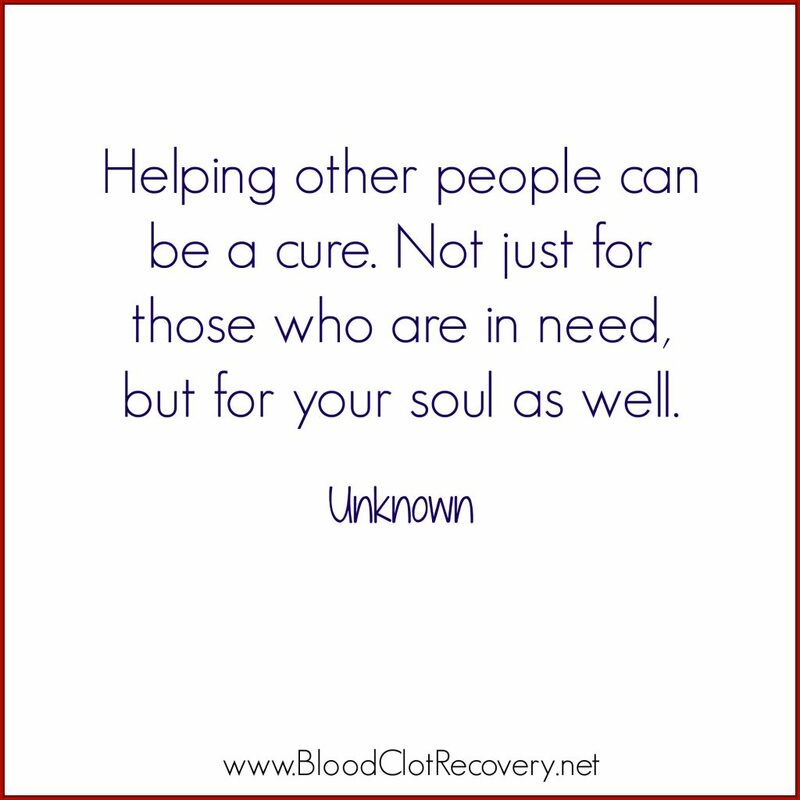 You are the reason I put so much of myself into this, and you are the reason I will continue fostering healing, community and yes, even awareness about the life-altering effects of blood clots. My work here is far from over. Your work is far from over. We all have a story to tell, and we all have something to invest in the bank. To you I say thank you. 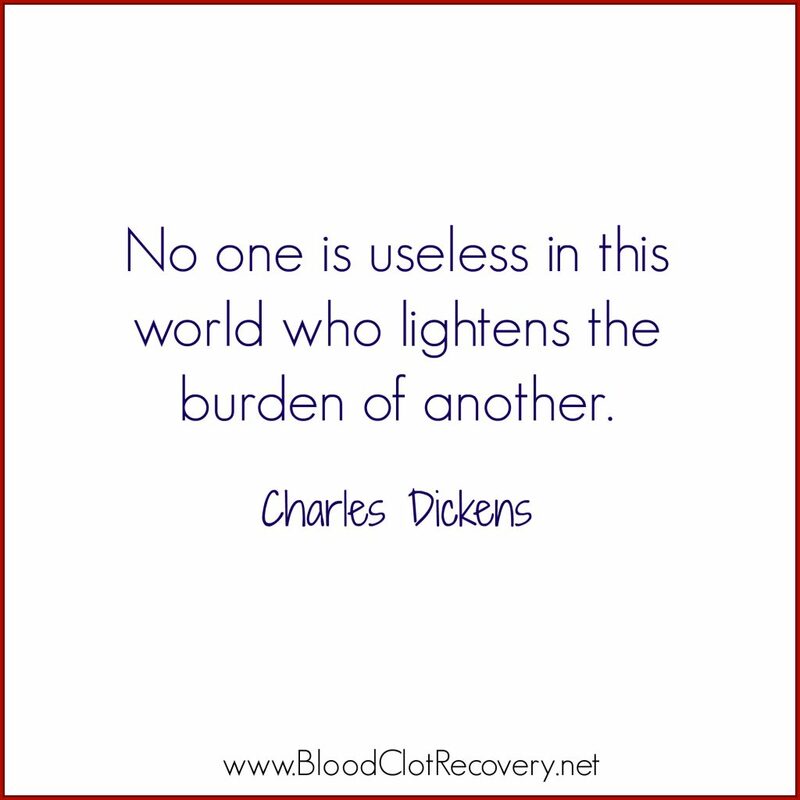 Thank you for being a part of Blood Clot Recovery Network, and for reminding me every day of why I began this work, why I do this work, and why I will continue this work. 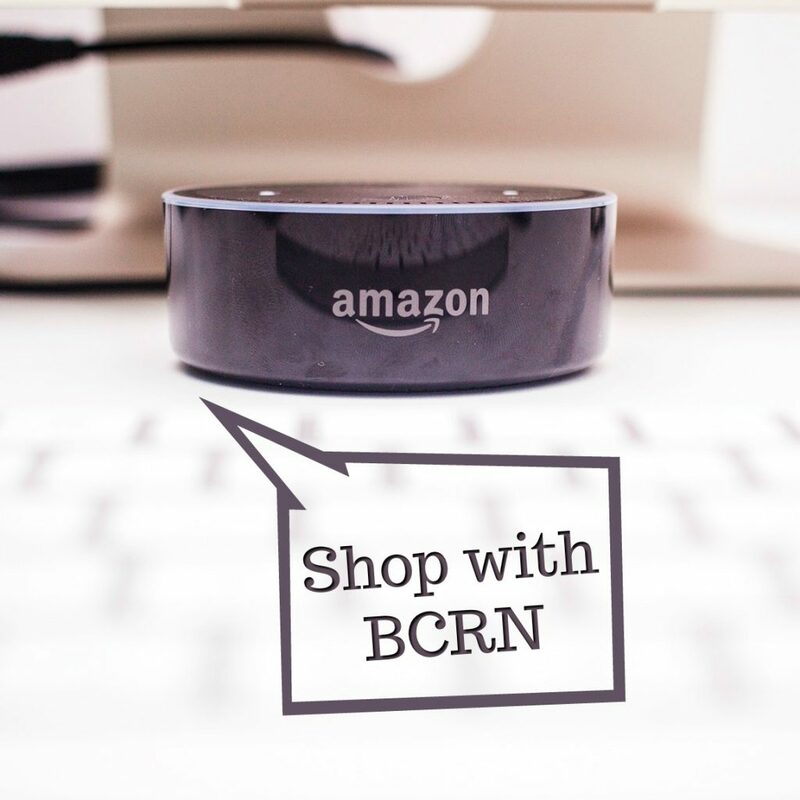 Reader Writes In: How has BCRN helped you through your recovery? How do you make a difference online? This post is a reflection of my thoughts after attending HealtheVoices 2017, an in-person conference that brings together online advocates from a variety of health conditions for an opportunity to learn, share and connect. For daily conference happenings, search #HealtheVoices17 on social media. Janssen paid for my travel expenses to attend the conference. All thoughts and opinions expressed are my own.